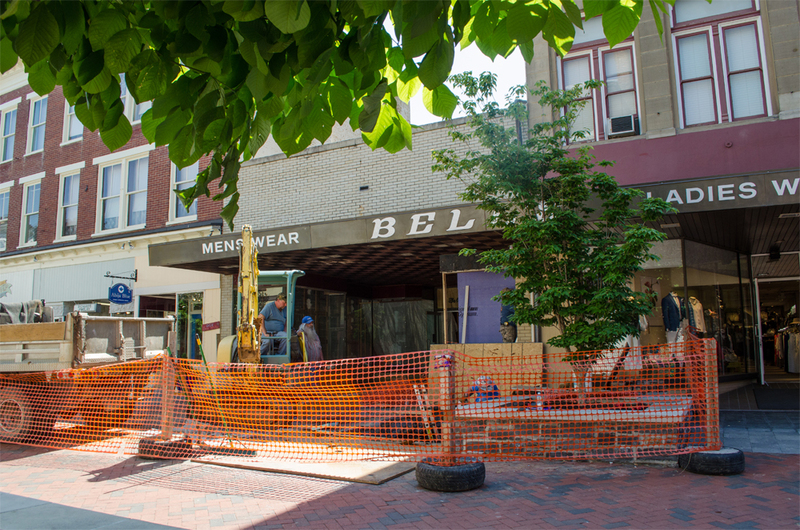 Bell's Men's Store Renovation Update - Bell's Clothes, Inc.
“We’re hoping to move into the new men’s sales area by July 1, give or take a week,” he said. Another frequently asked question regards the work being done outside of the store, as seen in the photo below. Construction crews are having to dig into the walking mall, to access the water pipes and gas lines for the five to-be-built apartments above the store. Work on the mall should be complete by the second week in June, after which the mall pavers will be replaced and opened back up to the public again. We’ll be sure to share the happy news of the men’s store reopening – stay tuned!